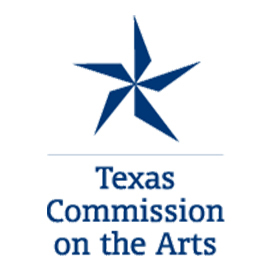 We at Deep Vellum are honored and thrilled to share the news that we have been awarded our first-ever grant of $1,500 for Economic Development from the Texas Commission on the Arts (TCA) in its first round of 2019 Arts Respond grant programs. As a startup arts organization founded in 2013, we are proud to receive this, our first TCA grant, from our first application (we only began to qualify to receive TCA grants in summer 2018 after celebrating our 5th anniversary!). We would like to extend our deepest gratitude to all Texas legislators who continue to support public arts funding (our representatives at the Deep Vellum HQ are Senator Royce West and Representative Morgan Meyer), which goes a long way to supporting our mission to bring the world in conversation through literature from right here in Dallas. 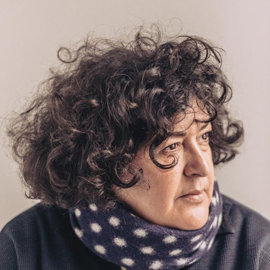 This Arts Respond grant will be used to assist us in presenting the work of renowned French-Algerian author and art historian Zahia Rahmani to English-language audiences, including programming a series of conversations in the Dallas area coinciding with the translation and first-ever English-language publication of her award-winning book, “Muslim”: A Novel. 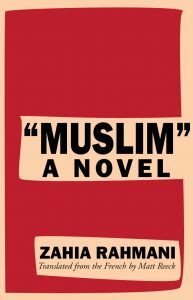 Topics to be discussed at these events and through the book’s release include the importance of intercultural communication and interfaith dialogue in developing empathetic relationships with each other, the universal quest for gender, racial, and social equality, and the artistic production of genre-defying literature combining elements of fiction and nonfiction, such as is portrayed so eloquently and beautifully in Rahamni’s vital, timely book. Thanks to the availability of these funds, Deep Vellum and other small nonprofit arts organizations are able to provide the community with access to artistic programming that enriches our cultural and economic landscape and improves our quality of life. It allows organizations such as ours to continue our work and provides us opportunities to find news ways to engage with our community and attract new artists and audiences, elevating the city’s status as a culturall y diverse, artistically significant place known for promoting new and existing talents both locally and on a national scale. Shoutout to all the artists and arts organizations fighting the good fight in Texas, and here’s to hoping our legislators continue to grow the availability of arts funding that allows us to continue to share the stories and experiences that bring us all together and enrich life in our great state!